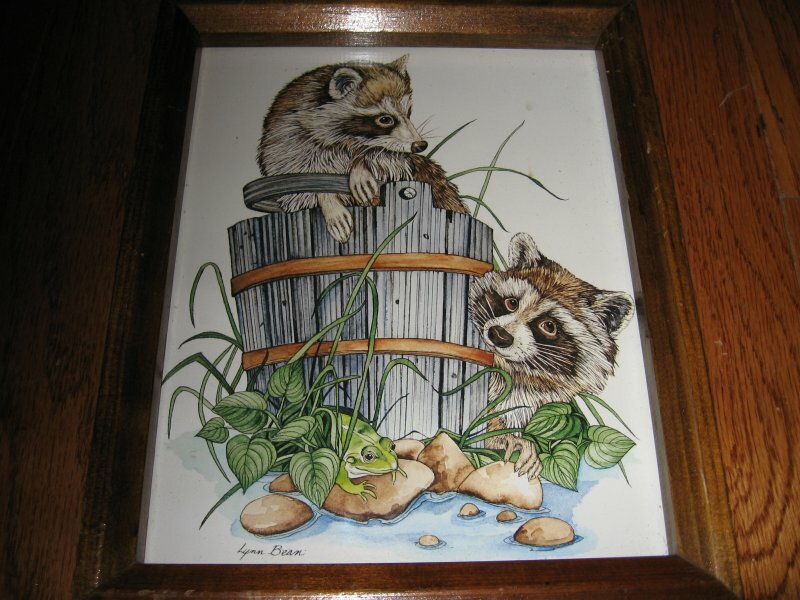 This a beautiful signed reproduction of a signed painting of two raccoons. One is in a bucket. There is a frog in the plants at the base of the bucket.